It’s not just famous cases like Ugg Boots that are making the news. 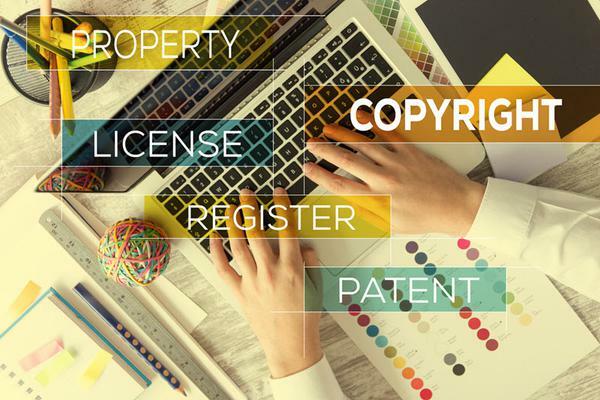 Trade mark, patent and copyright infringements in general are on the rise – both from the work of unscrupulous individuals/organisations and through innocent breaches of IP. In Australia, interest in protecting ideas through IP rights is increasing. In the latest figures available, trade mark applications grew by 14 per cent – the highest growth in a decade. Copyright and design applications also grew, indicating that innovation is alive and well in Australia. To successfully commercialise this innovation, it needs to be protected by law. What are you doing in your business to protect your IP and your ideas? Trade marking your goods or services may be the best option for you. Here we look at the key questions to consider before deciding to apply for trade marks. A trade mark is used to uniquely identify a product or service and distinguish it from the offerings of competing traders. A trade mark is more than just a logo for your business (though a trade mark can be a logo). It covers you legally from someone trying to replicate the above aspects of your goods and services. By registering a trade mark, you have the exclusive right to sell the product or service. You can also authorise others to use and sell it. 2. Does a trade mark last for life? No. A trade mark must be renewed every 10 years to retain the exclusive rights to sell the product or service in question. A trade mark registration can be renewed up to 12 months before the renewal date is due and no longer than six months after (in the latter case, extra fees will apply). However, during this period you must demonstrate that you have actively used the trade mark – or the exclusive rights to use it may be rescinded by the Australian government. 3. Do all businesses need trade marks by law? No. There is no requirement for a business to register any trade marks. It is NOT the same as a registered business name or registered company name, which all businesses must have. However, if you want to protect the unique aspects of your business’s goods and services, you should consider trade marks. For instance, just because you have a business name and have registered the domain name of a product, it does not prevent another business from using very similar details as you for a competing product or service. 4. What are the main benefits of trade marks? While trade marks are different to brands, they can become an important part of your identity. For instance, what would Qantas be without the red and white kangaroo emblem on the tail of its planes? This is a registered trade mark that is instantly recognised and helps promote Qantas services around the world. Once you register a trade mark, other businesses must respect that you have exclusive rights to its use – or you have legal recourse to take action. 5. How do trade marks differ from copyrights, designs, and patents? Intellectual property (IP) includes all inventions, literary and artistic works, designs, symbols, names, and images that are used to trade. A trade mark application may be for the name of the pen or the type of packaging used to distinguish it from other pens. A patent for the pen might be for a particular type of pen with a new way to store its ink. Industrial design protection may be sought for the pen’s new type of grip. 6. What’s the difference between registered & unregistered trade marks? An unregistered trade mark – free to use but with restrictions; if someone has registered the same trade mark, they can take legal action against you. Using the ® trade mark symbol is an is an offence, though you can use TM to designate an unregistered trade mark. A registered trade mark – you are legally allowed to use the ® symbol and nobody else is allowed to use the same trade mark; you can pursue legal action against them if they do so. Note that there are some circumstances where even unregistered trade marks provide protection under law: for instance, if you have been using an unregistered trade mark for many years before someone else starts using it. 7. Are trade marks internationally binding? Any trade mark registered in Australia covers only Australia. However, providing nobody has registered the trade mark that you want in another country, you can make an application for an international trademark. This will protect you from overseas businesses using the names or other features of your goods and services. Conversely, if you registered your trade mark overseas (but not in Australia) you are able to use ® to designate this, as long as you state the country of registration near to the symbol. 8. How do I apply for a trade mark in Australia? To apply for an Australian trade mark, first decide if it’s actually a trade mark you need. They are commonly confused with design rights: mistakes with applications waste time and can be expensive as there are no refunds of fees. If you are sure you need a trade mark, the next step is to start selecting the goods or services for which you intend to use your trade mark. Group them into one or more of the 45 categories available. You may need help doing this from a professional. Before applying, ensure that the trade mark you want to apply for is available. Use the search facility on the official government site IP Australia to avoid wasting your time. 9. What happens after I submit my application? Mistakes in applications for trade marks are common. Take the time to get it right before submitting yours. It will take around 3-4 months to assess. If your application meets all of the requirements, it will be registered. You will receive written notification and it will appear in the Australian Official Journal of Trade Marks. It will also be visible in the search facility mentioned in the question 8. 10. What happened with Ugg Boots? For Australians, there should be no greater warning about the dangers of not trade marking a product than the story of Ugg Boots. However, the trade mark for Ugg Boots is held by the American sheepskin company Deckers Outdoor Corporation. They registered it in over 130 countries. Consequently, the company challenged the use of the name by Luda Production and any other companies around the world using it – even though the name was used in Australia for decades before the trade mark application was lodged! This led to ongoing court action - with major headaches (not to mention costs) that could have been avoided. Let this be a lesson to all Australian businesses to register trade marks that protect the unique characteristics (including the names) of their goods and services – before another company does. Don’t be the next Ugg Boots. Do what other Australian institutions have done and protected their names and products/services – from Vegemite to Qantas and the Wallabies! Speak to your legal representative or accountant for more information on registering a trade mark.